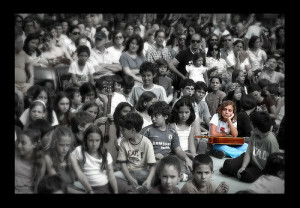 We live in a noisy world. Globalisation, urbanisation, and the dynamics of the information-age have ensured that! The inevitable outcome is growing isolation. Ride on public transport in any major city in the world and you’ll be amongst people who are riding together alone. The dearth of interaction is palpable. Today’s people hear so much from so many that they end up listening to very few, and are listened to by even fewer still. Amidst this ceaseless clamor for attention, nothing is easier than being rendered a cipher – a zero – one who is relentlessly talked at, but almost never talked to. But people are individuals. Hand made. There might be accidental pregnancies, but there are no accidental people. With frenetic malaise the backdrop to modern living, and lives abuzz with internalised stresses and strains unimagined by past generations, it takes little to call someone out of the crowd. A smile, a compliment, a kind word or a thoughtful deed – perfect weapons all for piercing the fragile armor of hearts and minds bent on survival on a battlefield called typical day. Opportunity surrounds us. Don’t be deterred by the “do not disturb” tokens that first meet the eye. The doors might be closed, but they may not be locked. Knock away, and opportunity might ironically answer. And don’t be dismayed if rebuffed. Consistency is the name of the game. Whoever opens to us opens to God, remember, for it is He who abides in us. The idea is to get this material into as many hands as possible. The price has been set at $0.99 on Amazon.com and at a comparable entry-level price on all the other platforms. For those who would like to download a copy now, click here (the book’s page), and then use the links at the bottom of that page to take you to the online vendor of your choice. 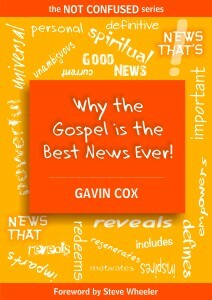 The Gospel is the good news about who Jesus is, what He did, and why He did it. What He did was so extraordinary, and its impact so enormous, that it will affect everything for all time. This book describes the richness of the Gospel, and outlines what the Gospel does when believed, for the Gospel believed is the power of God unleashed in one’s life. It, too, will retail at $0.99 or the comparable across platforms. Please spread the word. If you enjoy one of the books, please go back to the point of sale and write a review. The more books that sell, and the more reviews that are written, the more visible the book becomes on line. It will be so appreciated if you help where you can. 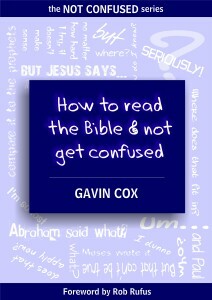 Thanks for subscribing to this website; invite and encourage others to do the same. Interact with the site. Comment on the blog posts. 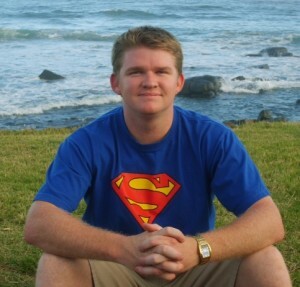 Like my author Facebook page and follow me on Twitter (click on the links to take you there). Like and share the Facebook posts and tweets. It only takes a moment but contributes substantially to SoMuchGoodNews‘s visibility, helping a great deal with the dissemination of this very Good News. The sultry PE evening turned turgid with sounds rich, mellow and pleasing. 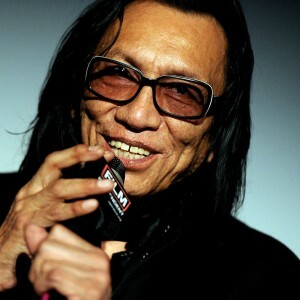 The middle-aged crowd stood and swayed appreciatively as the legendary Rodriguez rolled through his playlist. I puzzled over the urge to grow my hair again as I soaked up the atmosphere. None of us cared that the star was past his prime. Those of his caliber have nothing left to prove, and the obvious challenge of his deteriorating eyesight only increased our respect for the beloved septuagenarian. The unexpected delight of the evening, though, (and there was much to delight in), was the man’s one-liners. Randomly tossed to the audience with casual aplomb, I found myself eagerly snatching them from the festive atmosphere with unexpected glee. “Long live Nelson Mandela”, he said, reminding us of what a wonderful nation this could be, and of the attitudes it will take to make us that. “It’s descriptive, not prescriptive”, he said of Sugarman, a song extolling the virtues of recreational narcotic use. “Don’t do drugs”, he added. “Don’t start”. Sage advice from one likely more knowledgeable than most of us. And towards the end of the evening, “thank you for giving me a life”, in gratitude for South Africa’s role in turning talent to stardom; obscurity to adulation. 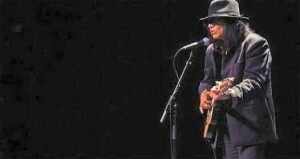 The way in which it was said left us in no doubt that Rodriguez is grateful. Humility is an attractive virtue, we learned. But the uncontested pearl of the evening, in this blogger’s book anyway, was when Rodriguez preached the Gospel, even though it’s possible that he did so inadvertently. “I know it’s the drinks”, he said, “but I love you too”. We might never know the specifics on this, but it is the Gospel nevertheless. Allow me to illustrate it this way: When a fellow Christian tells me that he or she loves me because Jesus says they must, it assures me of two things. a) They are under law, and b) They don’t love me at all. But fortunately there are other brothers and sisters who really do love me. They a) Never have to persuade me that they do, and b) It’s not because they are under orders, but because of what God has done in their hearts. They’re not trying to love me; they do love me. Big difference! This is why the Scriptures encourage us to be filled with the Spirit as a superior alternative to being drunk with wine; the result is authentic Jesus. Yep, Rodriguez said it well – it’s because of the drinks that we love each other!